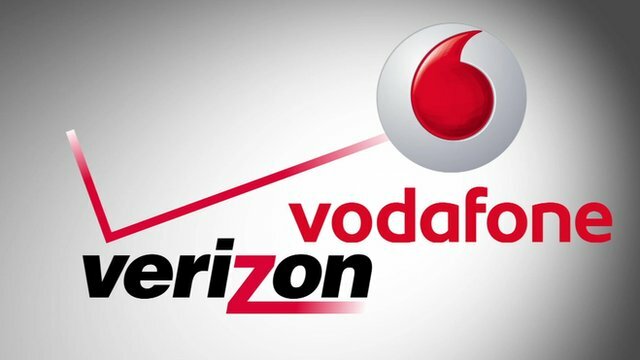 The shareholders of both Verizon Communications and Vodafone Group have approved the sale of Vodafone's stake in +Verizon Wireless to Verizon Communications. Verizon Wireless is a joint venture between Verizon Communications and +Vodafone. Vodafone owns about 45% of Verizon Wireless. Verizon Communications proposed last year to take full ownership of the joint venture in a deal valued at $130 billion. The companies' shareholders agreed to the terms of the sale and the issuance of new stock to make the financial transaction work. The Federal Communications Commission has already approved the sale, but it still needs the approval of the High Court of Justice of England and Wales. The companies expect the deal to close on or about February 21. Sprint's senior executives recently met with members of the U.S. Department of Justice to ascertain just how much opposition a merger between Sprint and T-Mobile might face. The meeting included Masayoshi Son, CEO of +SoftBankCorp, which holds a majority stake in Sprint, and Dan Hesse, CEO of +Sprint. Justice Department officials told Son and Hesse that such a deal would "face skepticism" from government regulators, according to people familiar with the details of the conversation. Regulators appear to favor the current competitive environment, which includes four national network operators, as opposed to three were Sprint and T-Mobile to combine. Sprint already has commitments from banks to finance the deal. SoftBank and +Deutsche Telekom, which owns 67% of +T-Mobile, have met to iron out the broad strokes of a merger/acquisition. Many details have yet to be finalized before an acquisition is formally proposed. Last week’s update to Chrome Canary enabled Google Now notifications for those using Canary builds, but the recent update to the Chrome OS Dev channel brings the feature to users not quite adventurous enough to use Chrome OS’ hidden Canary channel. Just like in the Canary version, Google Now notifications get added to Chrome OS’ Notification Centre, making full use of rich notifications to provide actions like tracking dispatched packages or viewing the latest weather for your area. You’ll need to be on the Chrome OS Dev channel and have Google Now configured on Android or iOS with the same Google account you’re using for your Chromebook. To enable the feature, head over to chrome://flags/#enable-google-now, change the setting from ‘Default’ to ‘Enabled’, and click ‘Relaunch Now’ at the bottom of the page. Once relaunched, your Notification Centre will have a number of notifications from your Android or iOS device synced. Google says that Chrome will only show a subset of cards from your mobile devices for now. Google Now will also use your mobile devices for location data though with the feature coming to your laptops and Chromebooks, this could very well change in the future. Google will retain majority ownership of Motorola's Mobility patent portfolio one of the key reasons for the initial acquisition but Lenovo will receive a license to this and gain about 2,000 patent assets. Lenovo will not be getting its advanced research unit, which recently launched an open hardware platform for building modular smartphones. "But the smartphone market is super competitive, and to thrive it helps to be all-in when it comes to making mobile devices," he added. "It’s why we believe that Motorola will be better served by Lenovo which has a rapidly growing smartphone business and is the largest and fastest growing PC manufacturer in the world." 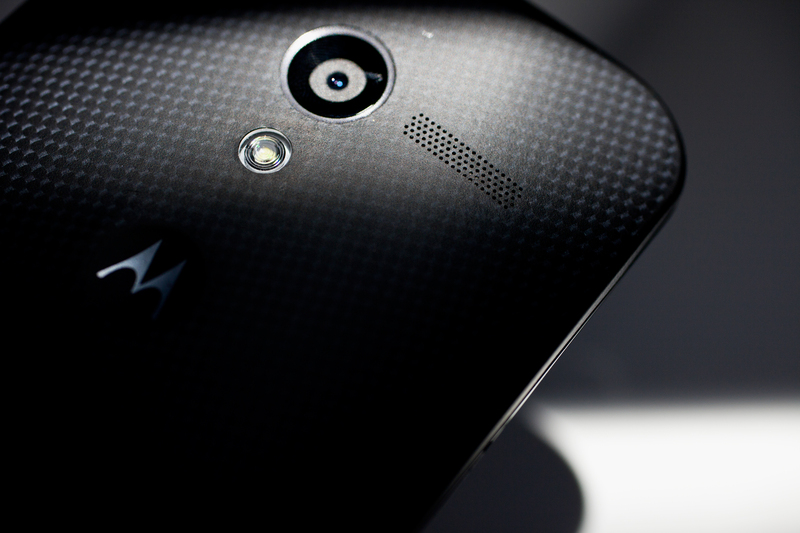 Motorola announced a new sale that is set to take place next Monday on January 27. The deal will only last a single hour online, beginning at 3pm EST and ending at 4pm EST. During that time frame, you can grab an off contract Moto X for $100 off of the full retail price $299 for the 16GB model and $349 for the 32GB model. Motorola stated if you miss the $100 off fire sale on Monday, Moto X phones will remain at $70 off of the full contract price until Valentine’s Day in February. Google has announced the release of the Moto G Google Play Edition starting at $179 for the 8GB model and $199 for the 16GB model. There isn’t much of a difference between the Google Play Edition and the regular unlocked GSM model of the Moto G selling through other retailers. The Moto G is already just about stock Android to begin with, and the pricing is around the same you’ll find through third-party retailers. With the Google Play Edition Moto G you’ll be guaranteed completely stock Android and updates when other Google Play Edition devices receive them. The Moto G is available now through the Google Play website for customers in the US and will run on AT&T, T-Mobile, and their respectful MVNO pre-paid services (i.e. MetroPCS, Aio, and GoSmart). 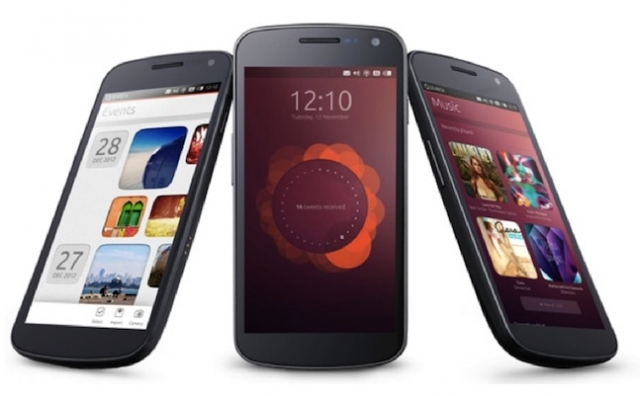 Canonical has officially supported the Galaxy Nexus, Nexus 4, 7, and 10, to date and let the Ubuntu Community handle building support for other devices (the community has added support for approximately 50 devices). We expected the Nexus 5 be added to the list, but now it seems Canonical will not be officially supporting Google's latest Nexus handset. Canonical is focusing down its efforts for official support, and is dropping the Galaxy Nexus, Nexus 7 (2012), and Nexus 10 from the official support list. 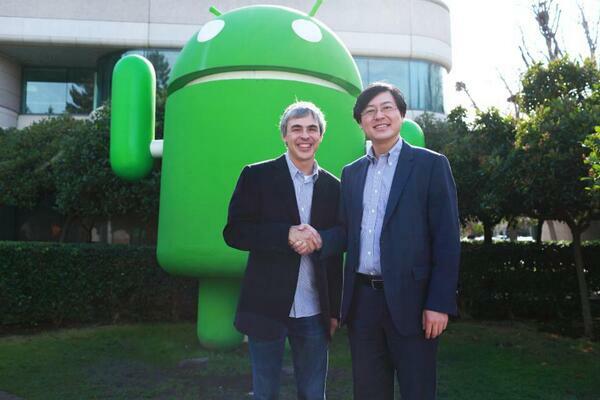 This means that the only devices Canonical will be working on are the Nexus 4 and Nexus 7 (2013). Of course, the community will likely pick up the slack on the rest; and, Canonical has not left those devices out completely, simply saying that they won't be part of the current release cycle aiming at April 2014 (and Ubuntu 14.04), although work on supporting the Nexus 5 could start as soon as the end of January. Canonical said in today's Ubuntu Phone mailing that the issue is that all of the work so far has been focused on the Android 4.3 enablement stack, and to "reinvest" in all of the Nexus devices with the new Android 4.4 enablement stack would be "too high" a cost right now. Instead, the team will be focused on optimizing the platform for use on the Nexus 4 and Nexus 7 (2013), as well as building ARM and x86 emulators this month. Today, Motorola's Assist app on the Google Play Store has been updated with a few new features. Assist can determine your actions, such as driving, sleeping, and perform a pre-specificed command. Until today, the app could only read you the text messages you received while driving. With the newest update you can now reply to texts while driving by speaking to the phone. Once the text is read to you, you will have the ability to read a response to the app. In addition, Assist can also launch your music player of choice when it notices you are driving. The update is available on the Google Play Store. Motorola Assist is only compatible with Verizon Wireless' most recent Droid line-up, as well as the Moto X.
Microsoft is currently planning to use the Windows 9 branding and vision as a way to move away from some of the criticisms of the Windows 8 operating system. It’s not clear what type of changes will be made to Windows 9 with Metro 2.0, inside the new OS will reportedly include a major focus on improving Microsoft’s new app world and tiles. Previous rumors have suggested Microsoft is planning to separate out its Windows 8 style apps to allow them to float and run in separate windows on the traditional desktop. Microsoft will reportedly use three major milestone development points for Windows 9, but it’s not clear how many of them will be released to the public during the development period. The software maker is currently in the final planning stages for Windows 9 and work is expected to begin after the Build 2014 developer conference in April. It sounds like Microsoft will use Build 2014 as a launch point for its vision of Windows 9, detailing some of the planned changes in an attempt to generate excitement around the company’s future plans. Beats Music today announced the pending launch of an online and mobile streaming music service. Beats Music will be available to Android, iOS, and Windows Phone devices for $9.99 per month. The subscription fee grants users unlimited access to 20 million tracks, including streaming and downloads for offline playback. Beats Music will offer dozens of curated music stations, as well as allow consumers to create their own. The service will offer a Just for You function which offers a personalized selection of albums and playlists based on user tastes. Right Now, which is a continuous playlist made from the user's location, preferences, surroundings, and mood. Highlights, which is made from current and culturally aware playlists; and Find It, a search function that pulls out playlists and songs. According to Beats, it is paying all artists the same royalties for their music. The service runs on the platform built by MOG, which was bought by Beats Audio in 2012. Single lines can test the service for free for one month, after which the monthly subscription kicks in. Beats Music also announced a collaboration with AT&T. Beats Music for AT&T customers will cost $15 per month and targets families or other groups that use Mobile Share plans. Beats Music for AT&T gives up to five people unlimited streaming and song downloads per month. AT&T is offering families a free 90-day trial, but there is no free version of Beats Music it's all or nothing. Potential customers do not need to have Beats headphones in order to subscribe to Beats Music. Beats Music will become available January 21. Report's form 9to5Google claims that HP is prepping a new low cost Android smartphone that could be introduced as soon as next week. This handset is described as being similar to Samsung’s Galaxy Note 3 and is expected to target prepaid and emerging markets with a $200 price point. HP hasn't released a new smartphone since the company purchased Palm and its webOS mobile operating system in 2010 and subsequently released a few devices that ran the software, including the HP Veer and HP TouchPad. It discontinued operations on webOS hardware in late 2011, and recently sold webOS to LG. Motorola’s most affordable prepaid phone, the Moto G, is now available online at Verizon for $99.99 without a contract. Keep in mind the Moto G only works on Verizon’s 3G network, not 4G LTE, and also can’t be taken to another network. Yahoo announced today at the company’s CES press conference that it has acquired Aviate, the contextually-aware launcher replacement for Android devices. How Yahoo intends to leverage Aviate’s technology, the company didn’t elaborate. However, Yahoo is clearly in a celebratory mood, because it’s offering beta spots to 25,000 new users (Use the code “YAHOO” when signing up). Samsung introduced its new Galaxy Pro lineup of tablets, it also showed a redesigned TouchWiz tablet interface. This morning, notorious leaker @evleaks has post some images of a redesigned TouchWiz interface for smartphones. At this point it’s unclear which version of Android this skin is meant to run on. We will be sure to release an update when more details are made official. Sprint announced a new offer that allows up to ten “framily” (that’s friends+family) members to share a common plan. The “framily” plan (yes, they’re really calling it that) offers unlimited talk and text for up to ten people, even if they don’t live in the same household, as required by many previous family plans. Each member of the “framily” will also get 1 GB of data each as long as they don’t roam onto another network. Unlike old family plans, “framily” plans allow everyone to get a separate bill sent to their homes. As you add more people to your group, the bill drops by $5 for everyone, and goes as low as $25 per month if you have seven or more “framily” members. The plans will be available in Sprint retail stores starting on January 10th. Bitspin has announced that it has been acquired by Google. Bitspin is the company behind the popular Timely alarm clock app, which has become one of the most popular and well designed apps on the Google Play Store. It has received an overall rating of 4.4 stars out of 5. As for the future of Timely, Bitspin says it will remain on the Play Store, though it shouldn’t receive any major feature updates. Also, all content that was once behind an in-app purchase is now free, such as sounds, themes, and challenges. We assume Google went after Bitspin for their excellent design taste, which happens to fit right in with Google’s vision. We can only imagine that the Bitspin developers will spend some time tweaking the design of various aspects of Android’s interface in the future. Republic is offering a specially designed Motorola Moto X for $299. 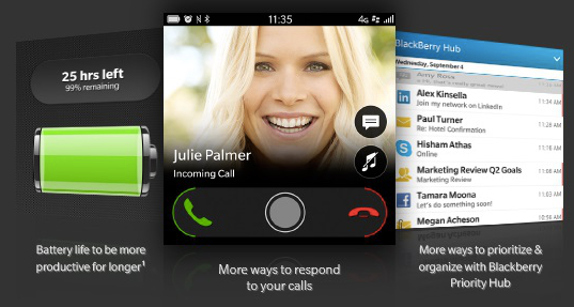 The phone is made to handle hybrid calling. For $99, you can buy a beta version of the Motorola DEFY XT that is water, dust, and scratch resistant. Now to the contest. There are three ways to enter... On Twitter, follow Republic Wireless and send a tweet to @RepublicWirelss. Make sure you use the hashtag #MotoXGiveaway and tweet the reason why you want to win the phone and the service. Those who members of the Republic Wireless community can send an email to contest@republicwireless.com, and include your community username. Or go to Republic's Facebook page to enter. Entries are accepted until 11:59pm EST on January 12th. Each method of entering (email, Facebook or Twitter) will have one winner who will receive the phone and the service. Now here is the thing about the free service. The winner will get 12 months of the $10 a month service which gives you unlimited talk and text over a cell network and Wi-Fi, and unlimited data over Wi-Fi only.